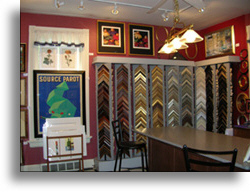 Custom framing means having it just the way you want and we can show you lots of great ideas! Established in 1961 and located in the Historical City of Wyoming, Ohio. Our Gallery is an ever-changing selection of beautiful Original Paintings & Limited Edition Prints and Etchings by Local and Internationally known Artists. 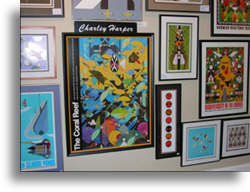 We also carry posters and decorative prints. 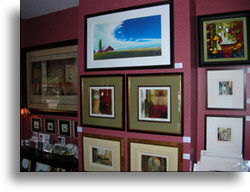 From Traditional to Contemporary – we strive to offer beautiful art at affordable prices. Professional Custom Framing gives your art the perfect finish. We provide a large and varied selection of mouldings and materials for Custom Framing and there is never a charge for consultation. Our friendly service, great selection and affordable prices guarantee that you will be pleased. We love framing and it shows! Your business means so much to us. Custom framing customers receive a gift card when the order is picked up. This voucher may be used anytime on a future framing order.